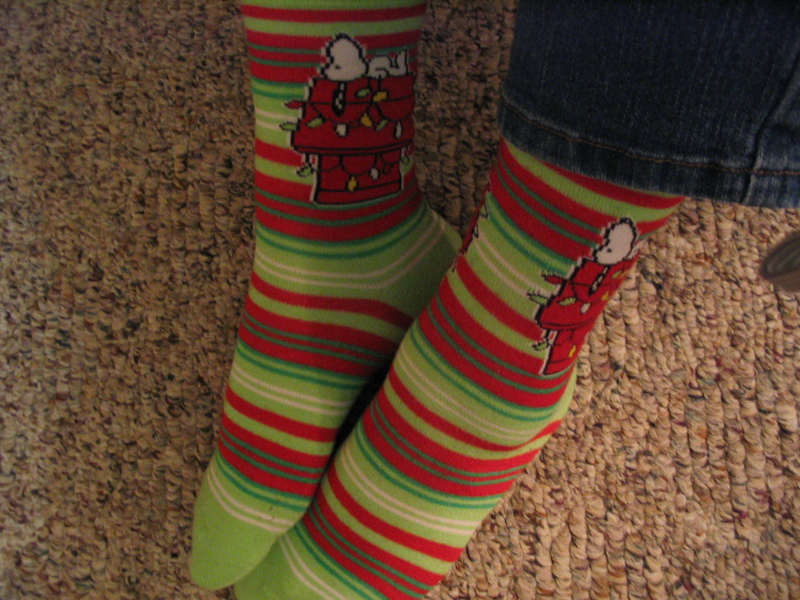 Dec 19 – I had my Snoopy socks on today, the ones that lost out to Betty Boop some days ago. In the past, I’ve wondered about Snoopy on that doghouse. How does he stay up there? Has he ever slid off the roof? I was wondering about it because my car slipped and slid on my way home from a meeting tonight. Coming to a stop at the bottom of hills was a challenge, to say the least. We’re in a period of freezing drizzle right now, which started during my meeting. It was just a thin sheath, but it was enough to make driving tricky business. While I don’t recommend driving in icy conditions, tomorrow morning, we’ll awaken to a shiny, crystal wonderland. Crystal is on my list of “favorite things to look at.” The subtle colors and sleek sheen play like a rainbow of dance over the surface of whatever it touches. Beautiful to look at, but not to drive in. I still have a little shopping to finish, but going out in weather like this would be like pushing Snoopy off the doghouse. Tomorrow might be a good day to stay at home and bake cookies.